Housing associations are registered providers (RPs) of social housing. 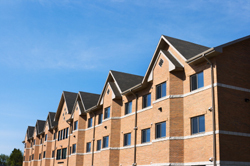 Housing associations are now the main providers of new social housing in the UK. RPs must be registered with the Homes and Communities Agency (HCA), so that a supply of decent social housing is maintained. RPs receive investment to provide homes that meet local needs but also in line with national and regional strategy objectives. Housing associations are run as businesses but they do not trade for profit. Any surplus is ploughed back into the organisation to maintain existing homes and to help finance new ones. Housing associations provide housing for many different sectors of the community and always seek to help the most disadvantaged. All housing associations must have written policies on the type of housing services they provide, who can apply for housing and how applications will be considered. Housing associations take the majority of their new tenants from council waiting lists but their allocation policies do differ. Together with providing homes for rent, some housing associations also offer housing for sale, including low cost and shared ownership options. See our page on owning a home for more information. If you rent a home from a housing association you will need to abide by their rules and conditions of tenancy and sign a tenancy agreement as you would if you were a council tenant. As a new tenant you may be given an introductory (probationary) tenancy, which can last up to a year or a secure (assured) tenancy. This will depend on the policy of the individual housing association. Renting from a housing association remains a cheaper option than renting an equivalent standard of accommodation in the private sector. If you are on low income you may qualify for Housing Benefit which will pay your rent in part or in full. Housing associations will carry out repairs to your property. The council works closely with housing associations to develop and maintain a supply of affordable social housing in the town. There are a number of housing associations that have properties for sale or rent in the Northampton area. The council has a partnership arrangement with a number of housing associations. This is called the RP framework and gives these housing associations 'preferred partner' status. Having 'preferred partners' means we can avoid going through a lengthy procurement process each time we need to work with a housing association, which will save the council time and money.